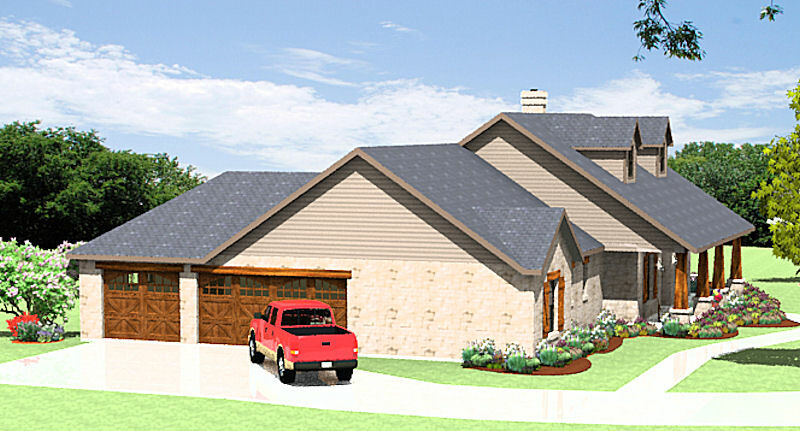 Plan S2786L is a fine example of a Texas Ranch Style Home. This Four Bedroom, Three Bath Room, oversized Three Car Garage Home has plenty of room for any growing family. Notice that each Bedroom has a Walk-in-Closet. Your Master Bedroom is oversized for King-size furniture. Your Kitchen is large enough for your own free standing island, plenty of wall cabinetry and is open to the Breakfast Nook and Great Room. We also managed to provide a nice window in the Kitchen to the front area of your home so you can see your friends coming. Your Great Room opens up to a very nice sized Covered Patio for that outdoor living experience. 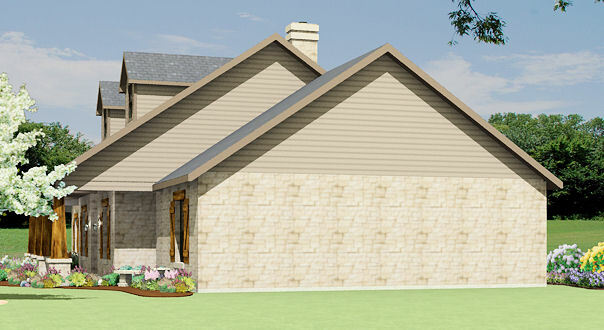 This home is what we call a Four Bedroom/Three way split. Meaning, your Master Suite is in a section of the home by itself. Two of the secondary Bedrooms share an area with a divided Hall Bath. Then there is the Fourth Bedroom on the far side of the home with its own Bath. Yes, you can sub out the shower for a tub. Hey Sportsmen! We didn?t leave you out. The Garage is over 23 feet deep and that’s a 10′ wide by 8′ tall Garage Door back there for your boat! The double Garage door is also oversized at 18′ wide. In Texas even our Garages are larger. All the ceilings are 10′ high except the Great Room which is 12′ high which is great for those hunting trophies! The Roof is an affordable 8:12 pitch.